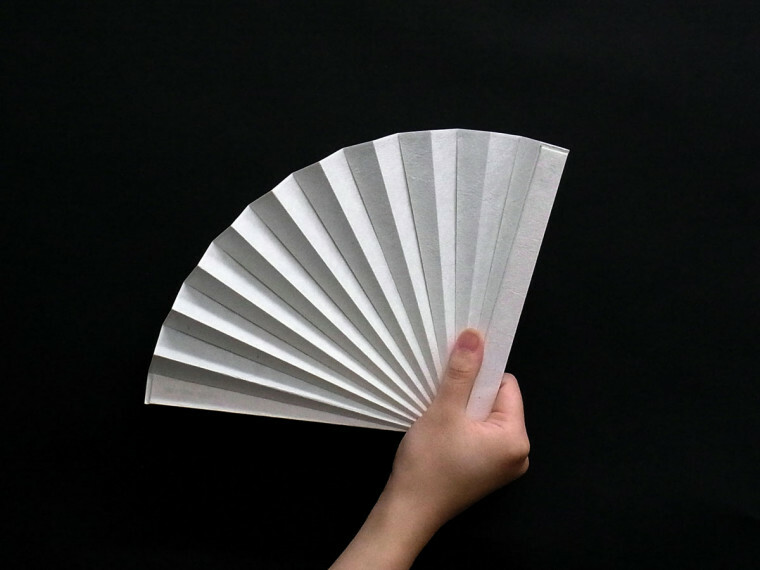 Ribless fan (sensu). 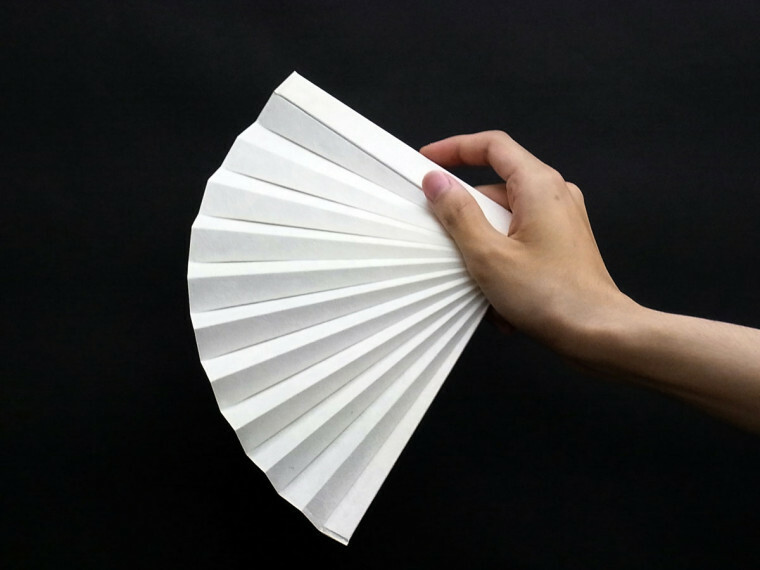 Instead of using typical fan ribs, we took advantage of indigenous sturdiness of Shiroishi washi and created enough strength to fan by way of folding it. Another treatment makes the fan resistant from stain and water. 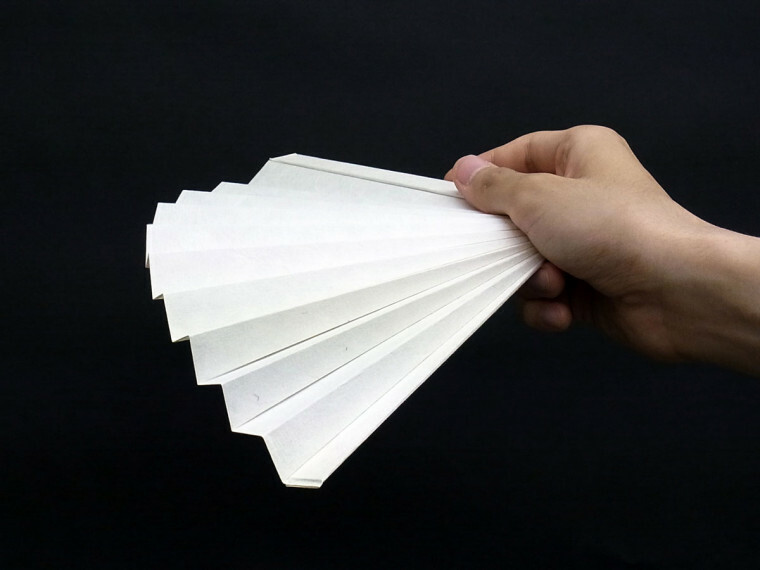 From its flexible form to fit hands and unique texture of the paper, users would feel very close to the material.